Allergy Big is, in some ways, very English indeed. He is a bit awkward about talking to girls, he says sorry often, and he knows that any crisis situation can be improved by having a cup of tea. However, at breakfast, he likes to go Dutch. Not in the sense of sharing; in fact, it is the exact opposite. Allergy Big greatly enjoys his breakfast of rye bread spread with peanut butter and sprinkled with dark chocolate vlokken (a type of chocolate sprinkle made from ribbons of chocolate). He started eating this when we went on holiday to The Netherlands, and he hasn’t seen a reason to stop. When our holiday stash ran out, we had to find a source of Dutch breakfast sprinkles. Luckily, this is not difficult these days, and, after trying a few different online suppliers, we have settled on Holland At Home. This is an English language website that is an online Dutch supermarket. The postage and packaging is based on the weight of the products so I like to get my money’s worth by adding on a few extra products to try each time. This website is not really very good for allergen avoiding as often the ingredients information is missing all together. Also, the search facility is a bit of a blunt instrument. For example, if you search for gluten free then you will get gluten free foods, but you will also get other products, like baby wipes, that are technically gluten free, but not really what you were thinking of. 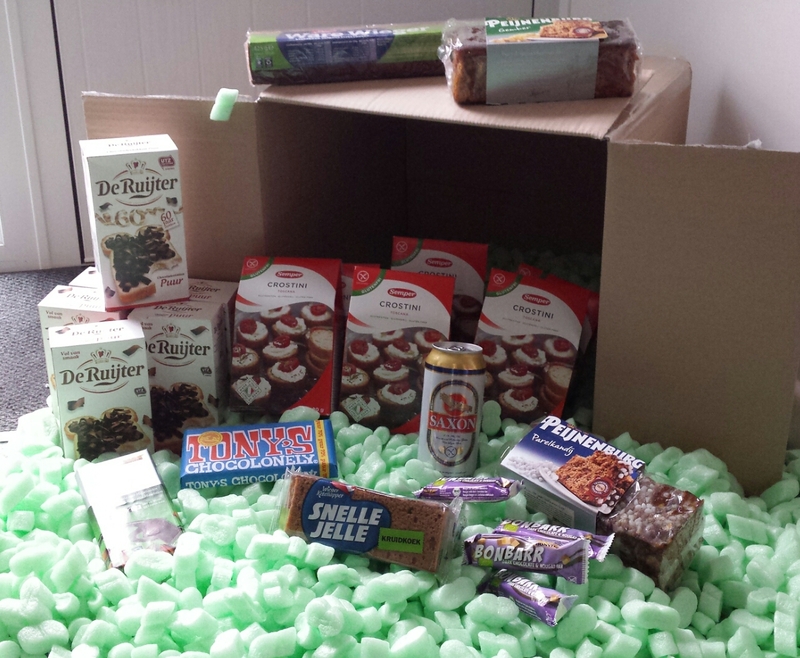 One time, when we ordered from Holland at Home, we found that the packets had been damaged so the contents were rolling around the box, and it wasn’t what we had ordered anyway. 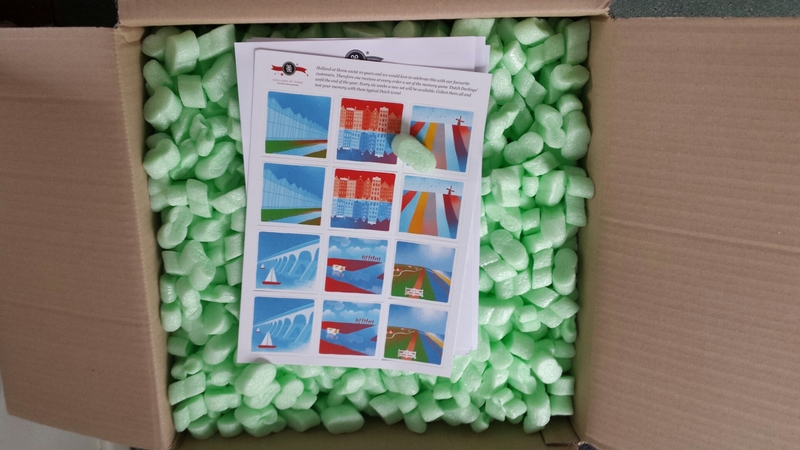 The company dealt with this very quickly and sent us our original order again. I was happy with this. Mistakes happen and it is how a company deals with the inevitable mistakes that matters most. However, I think there may have been a meeting at Holland At Home HQ to discuss how their shoddy packing had let down the whole country’s reputation as the world’s logistic experts because, since then, our order has arrived in almost comical levels of packing materials. …but, when you turn it over. It was enough that Allergy Little could make “packing peanut angels”. 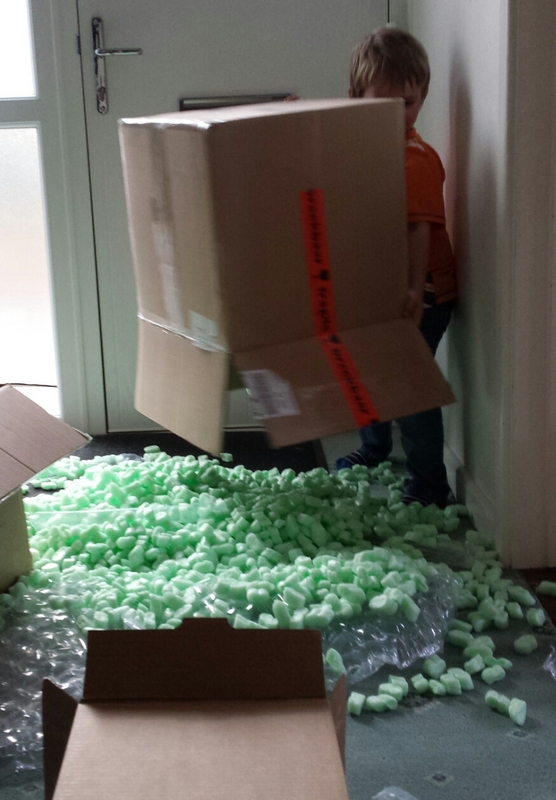 The boys had enormous fun playing snow games with all the packaging materials. We often review products that we have purchased from this website, and we will be having a gluten-free Dutch theme day later in the week!